Ghost Hunting Theories: Could Godzilla Exist? 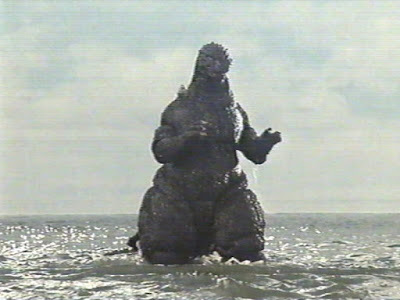 After the Fukushima nuclear incident, many began to ponder the effects on humans and marine life. Then, in the back of our minds, we had to wonder if the Godzilla born of the fears following Hiroshima and Nagasaki were actually premonitions of coming events. One of radiation's effects on living organisms is to mutate the DNA. This can cause defects. But, can it cause them to grow huge? Nope, not really. But, the scenario that would give us hope of a Godzilla recreation is the dinosaur cloning possibility. Sadly, that is fraught with new realizations about DNA and its shelf life. LINK: Over 80 people were injured when a high speed boat hit some kind of "marine creature" off the coast of Japan. The "creature" has yet to be found. And do things wash up on the beaches in Japan that are unexplained? Yup, like anywhere else. What's the Origin of Nuclear Radiation = Big Monsters Sci-Fi Trope?